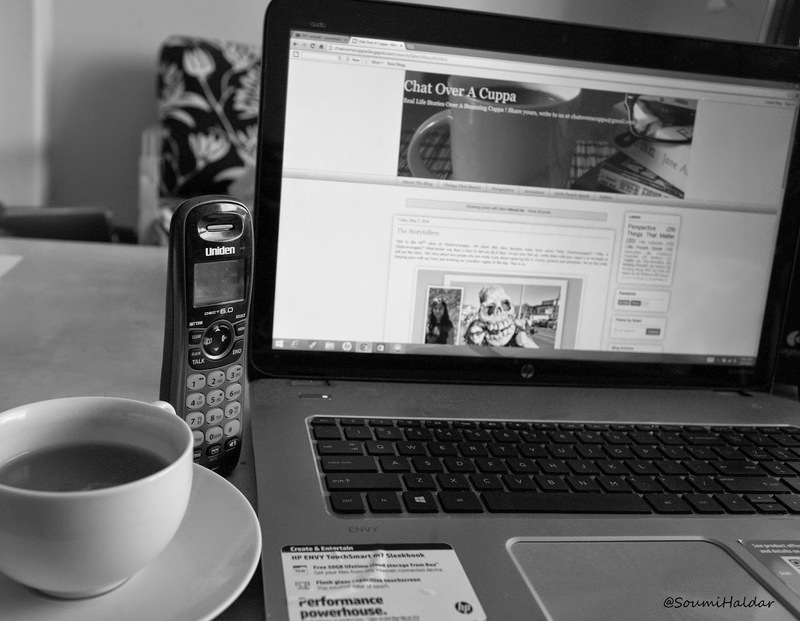 May 2014 – Grab a cuppa, tell a story or listen to one. My daughter was in preschool when Sandy Hook happened. I sat there watching the news and thinking about the security at her pre-school. A four digit access code, known only to the parents and the staff could lead you in the school. Well, only technically. So many a times we let siblings and other parents come in or go along with us without even knowing really who they were. School is a place of trust. You do not suspect anyone in that environment. And then what had happened in Sandy Hook that day had less to do with the school security itself. There were larger questions looming out there. A lot has been said about that already and I will perhaps save that topic for another day. As I watched the news over and over that day, I looked at the faces of the children being released from the school and running and hugging their parents. Their trauma was something behind my comprehension. What would have gone through their minds ? What would stay with them, lifelong ? Will they be ever able to erase that day from their memory ? I have often wondered about this with every such tragedy since. I have wondered about the same question every time I hear about a school lock-down, regardless of the reason. 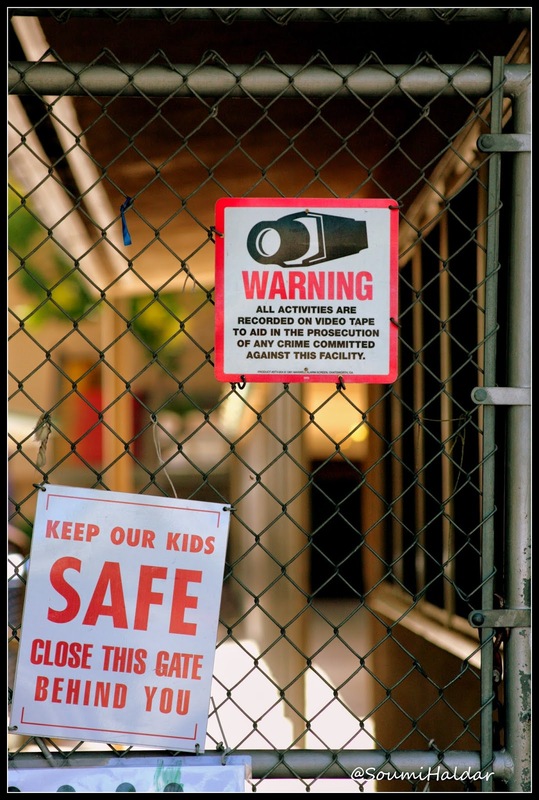 I happen to know a little girl from a middle school whose school had two lock-downs recently. So I chatted with her this week to see what had gone through her mind during those lock-downs. What would remain with her as a memory of that day ? Here is a very innocent and real answer. Children are simple. They think very simple. And that is why they should NEVER be subject to such situations, again regardless of the reason. I was in period six, math, when the principal came over the loudspeakers. “All students, please enter a classroom immediately if you are currently outside. We are under a lock-down.” Everyone in the class just kept on doing their work and talking. I did the same, but in mind I was thinking about my parents and my little brother. Were they OKAY? I hoped my brother was okay, he was at his elementary school. I hoped my parents were not worried about me. I was completely fine. I hoped my family was. What if they weren’t? What would I do? When the principal finally announced that the police had said that the lock-down was over, I was extremely happy. When the bell rang for the end of school, I met my mom where she always picks me up and we all lived happily ever after. The end. A Moment To Mull Over ! TGIF ! It’s Friday. The most sought after day of the week. Earlier today as I sat looking through my repository of old pictures, I found a special picture. A picture that reminded me of a very humbling moment. That moment had stayed with me in the form of this picture. 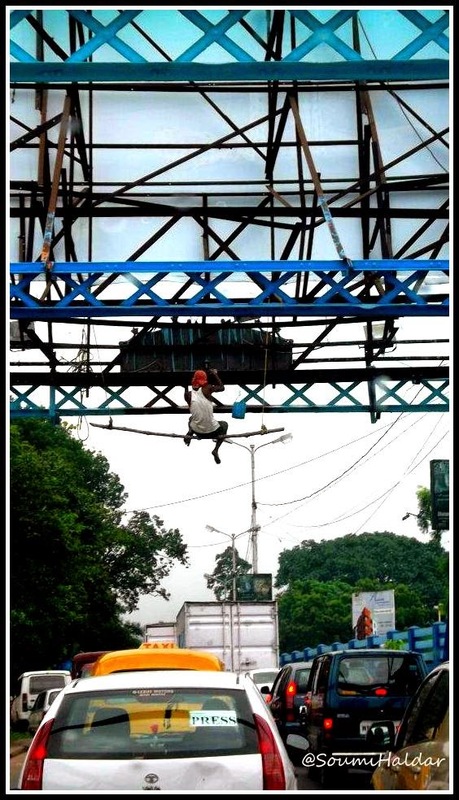 Driving through a busy intersection on a street one Friday, I had been strategizing on how to catch up on some extra sleep over the weekend when I had suddenly noticed this.The traffic had come to a dead halt. As I looked at this young man, I had a stream of thoughts in my head that day. What sort of will power does it take to do this sort of job ? Does he ever look down at the passing cars ? Is he not frightened for his life ? I noticed the young man diligently do what he is supposed to unaffected by the surroundings around him. He was doing a job. He was earning his living. I wondered who he was doing it for ? Himself? Family ? Kids? Loved Ones ? And then that inevitable thought, what would happen of those relationships if something were to happen to him ? The people in his life. The people who mattered most to him. The people whom he was doing this for. My thoughts came to an abrupt end with a honk from the car behind. I took a moment and captured this. The moment that had humbled me. The moment that had reminded me to live every single day of the week just like we do on the Friday’s. I leave my thoughts and the moment for you. Mull over it with your evening cuppas! Life is beautiful. Treasure all its moments. The world is mourning the loss of Dr.Maya Angelou, a legendary author, great human being, wonderful storyteller, an inspiration and lot more. Social media is buzzing with her quotes, poems and stories. She was undoubtedly a strong influence for women across the globe. In our story today, Barbabra Stanifer takes this opportunity to remember other such strong female influences in her own life. With the passing of Maya Angelou, it has me reminiscing on the strong female influences in my life, I’m lucky in that I have many. But when I conjure up one that makes me feel that kind of love I’ve been reading about in the various quotes being passed around today, I think of Shirley. I refer to her as my grandmother, but we are not actually blood related. She was our neighbor and I was four when she came into our lives. She saved us, all of us. 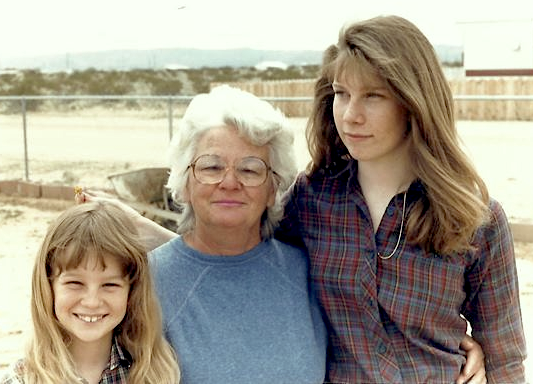 My mother desperately needed mothering and she gave her that. I needed affection and she provided that in spades and when my sister was born, she was a babysitter in a pinch. 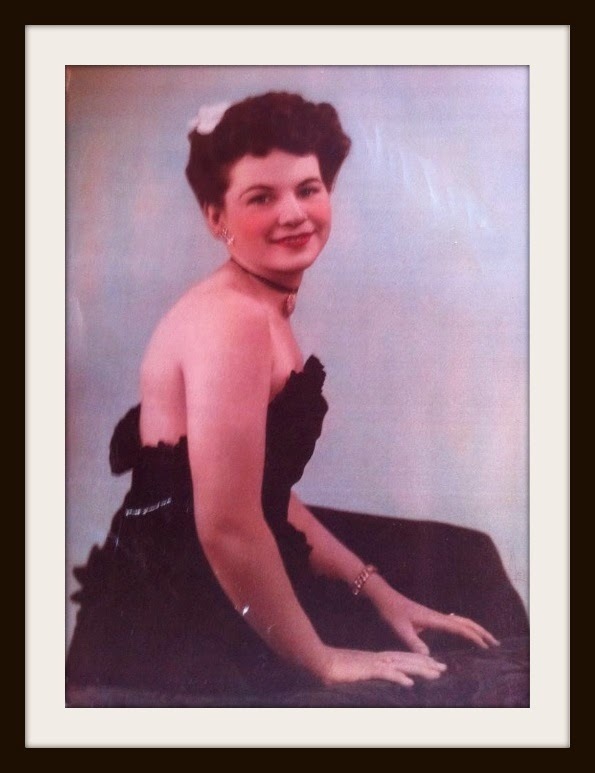 Her husband CB (who I refer to as my grandfather) was a giant of a man in physicality and heart. Their house was my sanctuary, in my memory it was glowy warm, it always smelled like bread dough and it was comfort and love in its purest form. She wasn’t perfect by any means; she was flawed like all of us. I could tell you lots of stories of highs and lows. But the moment that is tugging at my memory today was a car ride she and my mom and I shared, a long ride through the mountains at one of her darkest hours. Alzheimer’s was slowly consuming Shirley’s brain, and one fateful night CB, her husband of some 68 years, fell. 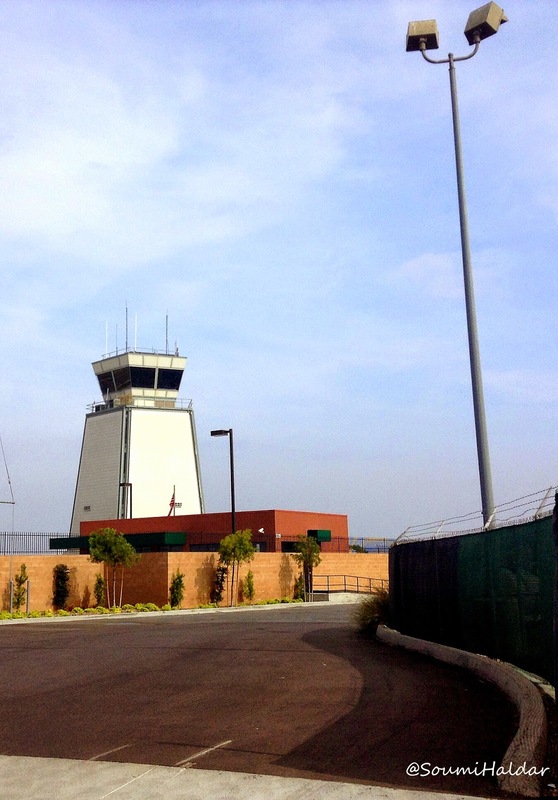 He hit his head and had to be helicoptered to a hospital 2 hours away. By the time my mom and I reached her, CB had been flown out and she was sitting with a neighbor obsessing over whether or not she had already fed the cats. She seemed oblivious to the weight of the situation, which was the one blessing of dementia. We scooped her up, packed some clothes for an undetermined amount of time and started on our 2-hour journey. 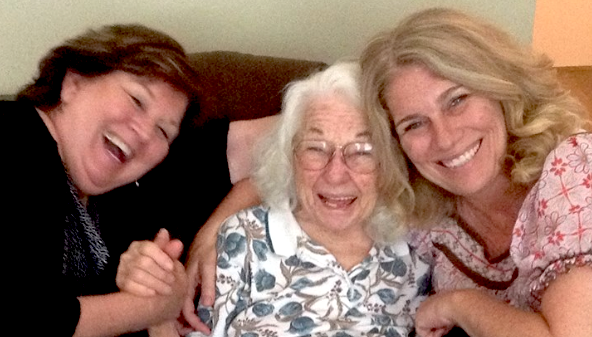 My mom and I took all our grief and fear and shoved it to the corners of our brain. We wanted her to stay in her oblivion, it would be much nicer there than in the harsh light of reality. We started down any number of random conversation topics trying to keep things light, there may have even been a laugh or two in there. And then with complete lucidity she said with that familiar glowy warmth, “You know CB loves you both so much. He may not ever recover from this and that will be so sad for all of us, but you are both so loved. You mean the world to me.” I was shocked by her clarity, by her calm in the face of what must have been a terrifying situation for her. But most of all I felt so completely wrapped in tenderness. Story Credit And Photo Credit : Barbara Stanifer. Barbara is an amazing storyteller and she has written for Chatoveracuppa before. She is very observant of the little things in life and treasures them the most as well, a reflection of which can be seen in all her stories. This is her personal story and pictures. We are so touched to be publishing this today on her behalf. Story telling is a natural art. Some say stories have to be profound and well crafted. While we agree with that, we also feel the eloquence of the story teller comes from within, when it is a story that is real and said straight from the heart. They say why stories ? We say why not ? Don’t we still say stories to little children at bed time, to friends over coffee, to our families at dinner table, to strangers riding along on the subway and to our journals that keep our secrets. Stories need to be told, shared and heard.There is a story teller in each one of us. 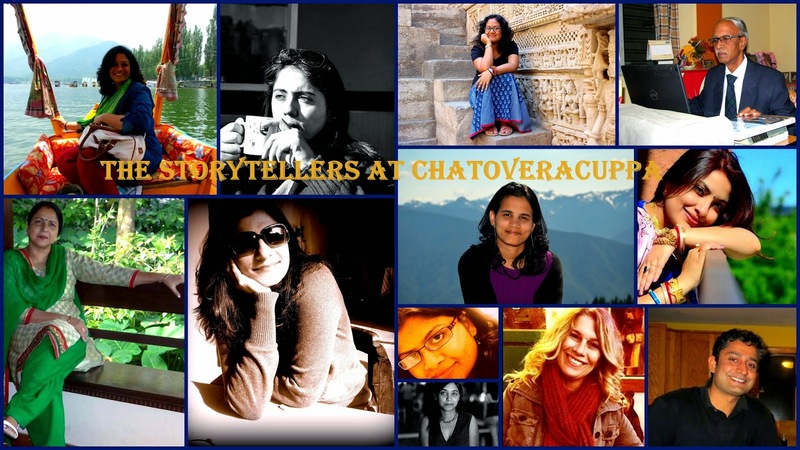 Chatoveracuppa is that place where story tellers huddle and chat and share stories. 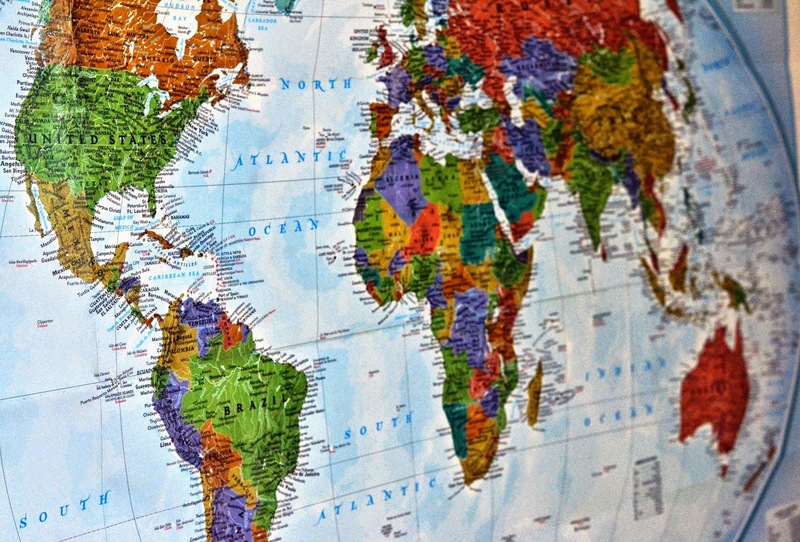 In our journey of finding stories from around the globe, we have met some amazing story tellers. They share why they love to tell stories and what makes them want to write. 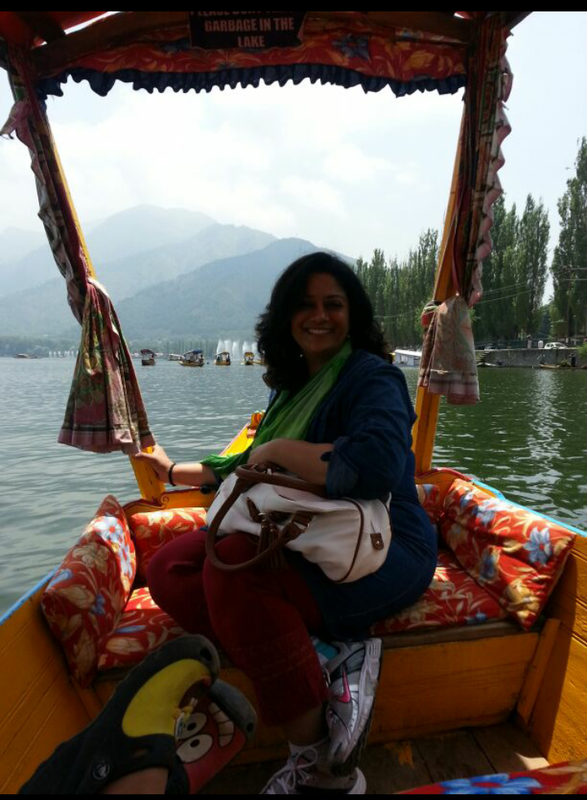 An avid blogger, people watcher, storyteller and a mom to two young children. 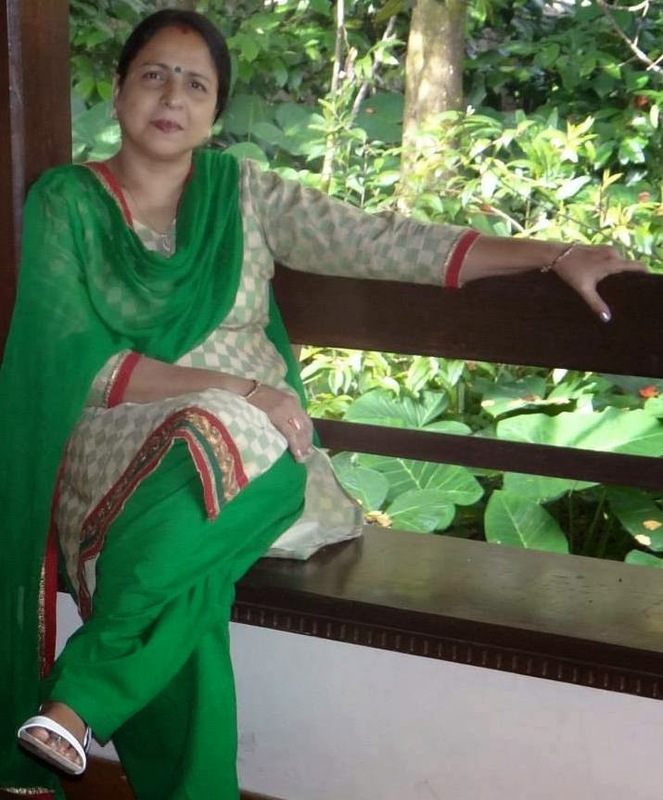 Her stories and posts are about things that she observes in the course of her day to day life, anecdotes and life lessons learnt by watching people around her. Real stories about real people which often includes her two children. Parenthood, she believes, has been a great teacher and she is still learning. “Words are the only way I have ever known to express myself. The love for writing stems from the love of observing life and the people in it. Writing has always been a passion. 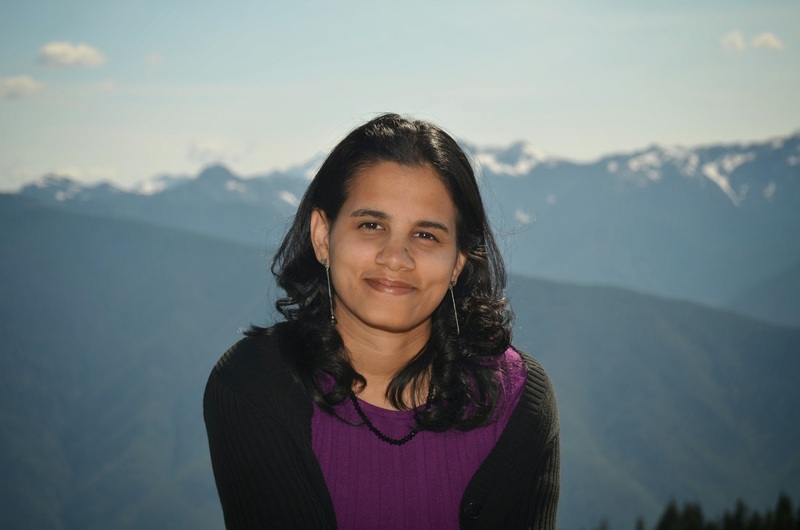 Motherhood has helped redefine my love for writing.” Find her stories here. 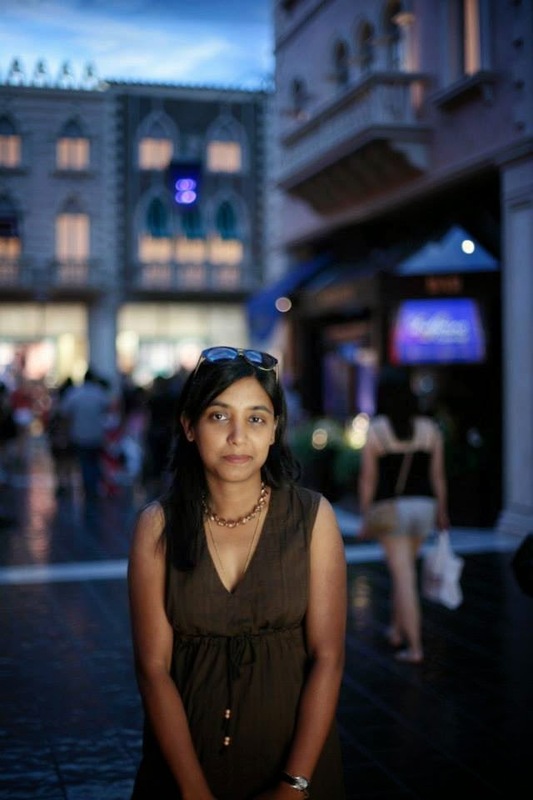 Soumi is a voracious reader, an avid traveller and captures the world from behind her lenses. Photo credits for the most stories on the blog are for her pictures. When not taking pictures, she is on the desk editing and compiling all the wonderful stories we receive from our storytellers, readers and bloggers. 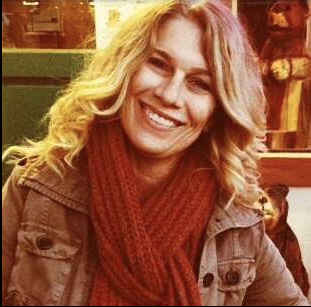 She is also a soccer mom, an active volunteer at the school and the soccer field. Find here pictures here. 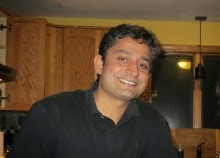 Prithvi Raj Banerjee is a Boston based, IIT & MIT educated entrepreneur who is in the process of making a transition from a pompous technologist to a happy writer. An avid traveler, he shuttles around the globe with his college sweetheart and two kids. Has recently shifted to Bangalore and is still trying to perfect the “Don’t mess with me” look to deal with dithering drivers and absconding cooks. He is also a photographer and a cartoonist. In his blog ‘Tales from Near & Far’, he writes & illustrates stories inspired by incidences from his old and new homes, as a tribute to people who continue to make homes under new skies. I like to share my moments of joy with others to increase it many folds. I am not a writer but I love to tell stories from my own life. 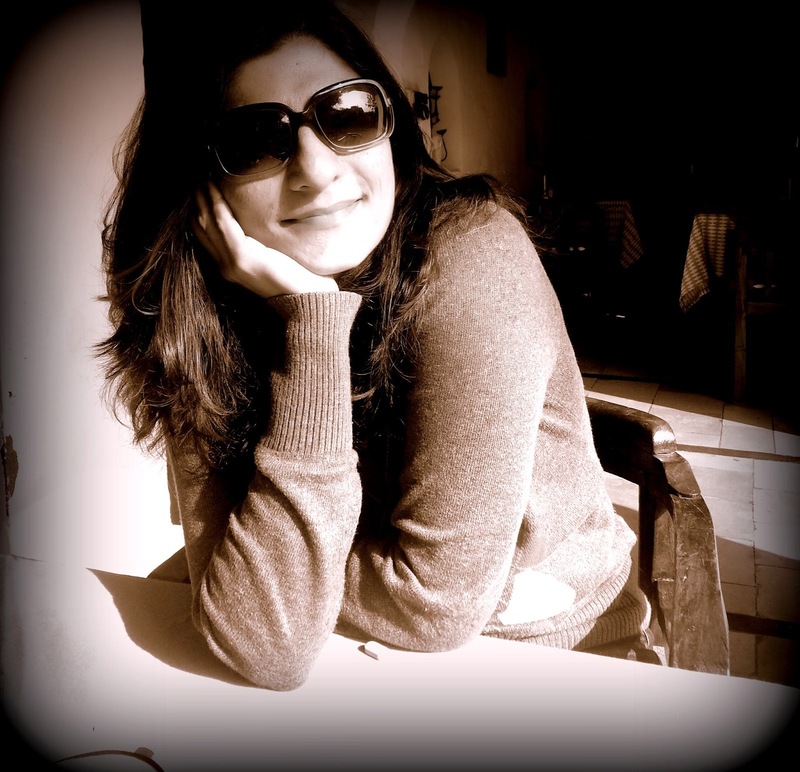 We must add that Sonali has become a regular contributor at chatoveracuppa and her stories being very simple and heartfelt have been very popular with our readers. What inspires me to write are mostly things that tug my mommy heart. Motherhood changed me in many ways. It made me discover emotions I didn’t think I had. Deep, intense at times overwhelming emotions. And it’s these emotions that inspire my writings. I write because it is cathartic to me. I write because it makes me happy, relieves much stress for me. I write because I like sharing my life with others. And of all the pleasures it has brought me, the one that stands out the most is that it validates and keeps me grounded. I have lived seven decades of my life. When I look back enormous memories revolve around me. Some are very eventful some are less, some with a little sorrow some with plenty of joy. The events appear before me one by one when I am alone or relaxing. I feel like sharing them with my near and dear ones, everyone close by or long distances away, and specially with my students. I believe that sorrow diminishes to zero and happiness increases many folds by sharing. This inspires me to “story- telling” whenever I get an opportunity and there are many of them in my bag yet untold. Nothing quite fires my penchant for storytelling like a new place. Traveling for me is about discovering something awe-inspiring in the most mundane of places and something familiar in the most exotic. When I am not working on my job as a business development manager, I day dream about traveling and when I am not doing either, I try to pen down my impressions of the places hitherto visited, the stories heard on the trip, the local food sampled and the countless new experiences. They ask..what makes you a storyteller ..and I find myself on the threshold that leads to a quiet stream of thoughts..which flows over the life that I’ve lead..each twist and turn a story in itself …along with that ..the almighty blessed me with the power of expression that I’m eternally grateful for and also for a compassionate heart, a beautiful family ..2 delightful sons and friends that I could live and die for …storybook in making indeed! !.I’m so happy to be a part of this amazing platform …may we grow from strength to strength. I love to write because that helps me to preserve everyday’s precious moments into stories that can be revisited time and again. Find her her stories here. Words! That’s why! I need them to make sense of this world. Everyone does. But I need them to tumble out of my head, jostle their way through the pen, and fill the paper in front of me- sometimes to make that perfect sentence, and sometimes to get mercilessly murdered for tumbling out a little too soon. What if I didn’t have that pen? What if there was no keyboard to furiously type at? What if I didn’t write at all? Would it make a difference to me? I am not exactly spewing out path breaking pieces of literature that, in the next century, would be a subject of an evening of deep literary conversation over clinking glasses. So then why stare at the blank screen for hours sometimes with the words mostly refusing to fall in order? Over the third cup of strong coffee, the few, but enormous, grey words of doubt were still pacing about in my head, while the rest crowded in one corner, and hid beneath the darkest thoughts. As I reached for a refill, a note slid in the room from under the door. Whoever pushed it in giggled, and whispered something to the other giggler. The note was mysterious enough to get the grey words to stop, and watch me pick it up. When we were young, my favorite moments used to be sitting huddled with my brother around my dad, listening to him narrate his childhood memories. That’s where my love for stories comes from. It was a world from decades ago, and my imagination used to spin its colorful web as I visualized him shying behind his elder brothers or stealing fruits from the neighboring orchards. I am more of a listener than a story teller, however thanks to my active baby girl, my every little moment now has a story to tell. Observing people and places has always been fascinating to me. I’ve always been an asker of questions, wanting to know what makes people really tick. And words… lovely, beautiful words, if done right they can paint a picture, make you feel something, take you on a journey… My favorite part of writing is not pouring out that first blob onto the page (that part is hard! ), but going back in and sculpting the blob, for me that’s where the real artistry is done, where the pleasure comes in. I enjoy writing because I find it extremely fun to do so and I can use it at any time of day or night to express whatever feelings or moods I have. It is just a really amazing way to express yourself, and I find it to be quite thrilling! She loves to write and wishes to become an author one day. She started writing books of her own since first grade and has completed writing 10 books so far. She also always illustrates her own story books. We often get asked, what do the folks behind Chatoveracuppa chat about. Actually a lot. So here is glimpse into what we were discussing over the long weekend while working on the 75th story on the blog. Soumi took a picture of her desk to make this come more real for you. Our conversations are always accompanied by a steaming cuppa. We do this in between several interruptions from the people in our lives. Our children peeping into our computer screens, interrupting us to ask a science question or telling us about an injured finger and our husbands almost always narrating newer stories in parallel. Soumi : I was sitting in my car in the parking lot of Target yesterday. I saw a mother help her little girl out of the car and she was then working on getting another one out of the car. As it happens, in a split second the little girl was running across the road. Even before the mother could notice, another car came around the corner. Loud screeching sounds. The girl was not hurt. No one was hurt. A possible accident averted. Soumi : The mother got understandably upset at the little girl. She looked so overwhelmed and emotional. I came out of the car to see if I could help. She put both the kids back in the car and abandoned the shopping plan. But guess what ? Piya : I know what. You looked around and saw other people notice this too. Perhaps judging the Mom for not being careful. Soumi : Yup. Not perhaps. I am quite sure about it. Everyone was discussing in audible tones on what the mother should have done and what she should not have. It is easier to judge. Although the fact is anyone could have been in the mother’s place. There is always room for that 30 second error. We know that. Piya: Yes. I know. By the way, we have more pictures and stories from the storytellers for the 75ththan we thought. Soumi : Yay ! I know. Piya : Anyway, back to your story. It reminds me of the time I went to the local USCIS office for an interview. There was a young couple with a month old infant. At one point the infant started crying and nothing would help. Pacifier. Bottle. Carrying. Rocking. Nothing. They even took the baby out for some time and then brought back in. Their attorney too took turns at looking after the baby. But when babies cry there are times you cannot do much. We all know that. The baby had to be there with the parents for the process I overheard the attorney say that to the couple as they started making alternative plans. Soumi : And people were watching and getting annoyed ? Piya : Yes, very much so. Most had the look that we have had enough, please take the baby out of here. You know the sort of general judgments. Look at the parent, they cannot even get a baby to quiet down and things of that nature. And this from a room full of people who either have kids of their own or will definitely have nieces and nephews or even grandchildren for that matter. This office had no notice that babies are not allowed. So now, you dear readers. You tell us that you have not observed this or not judged someone yourself at some point. We both will be candid and accept we have done that ourselves but most times we quickly remind ourselves that it could be us. And that stops the judgment right there and puts things back in perspective. When we have been judged we have felt awful about it. But when we have been assisted instead, we have felt relieved. Like this one time, I was in a similar situation in the parking lot of a mall. One baby in the Bjorn, a few shopping bags in one hand and a five year old holding the other hand. The five year old freed herself and began to skip and hop in between the parked cars. No amount of pleading with her helped. Just then a stranger from the other side of the road yelled at her “ Listen to your mom. Stop running in the parking lot.” My daughter froze in her spot. I thanked the stranger. I did not take offense because it was way better than being judged as an incapable parent. That is why we ask today, Why judge ? We would love to hear what you think. 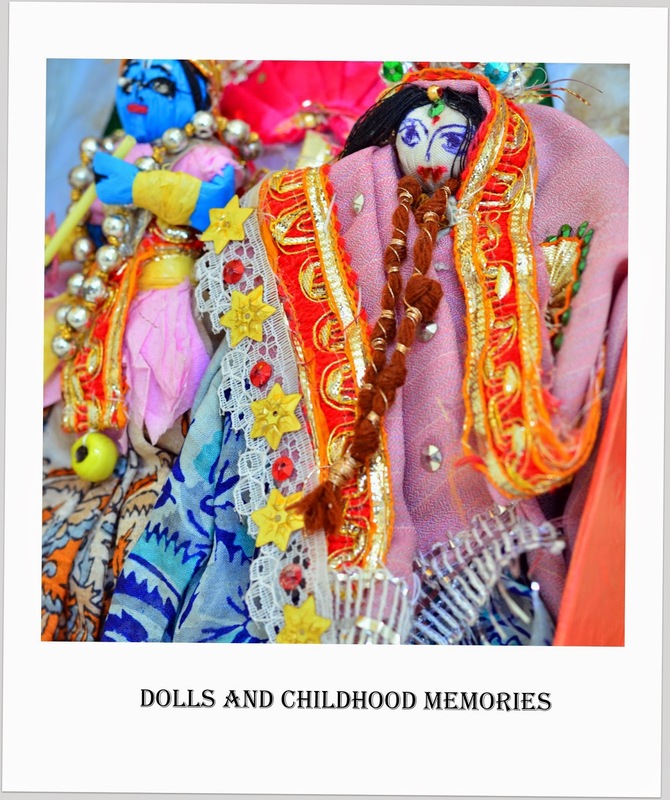 Sonali Banerjee takes a trip down the memory lane and remembers her childhood days playing with dolls with her best friend. The fine details in the story are so engaging that you can visualize the pretend doll wedding that she describes. Our favorite part is the ending of the story. 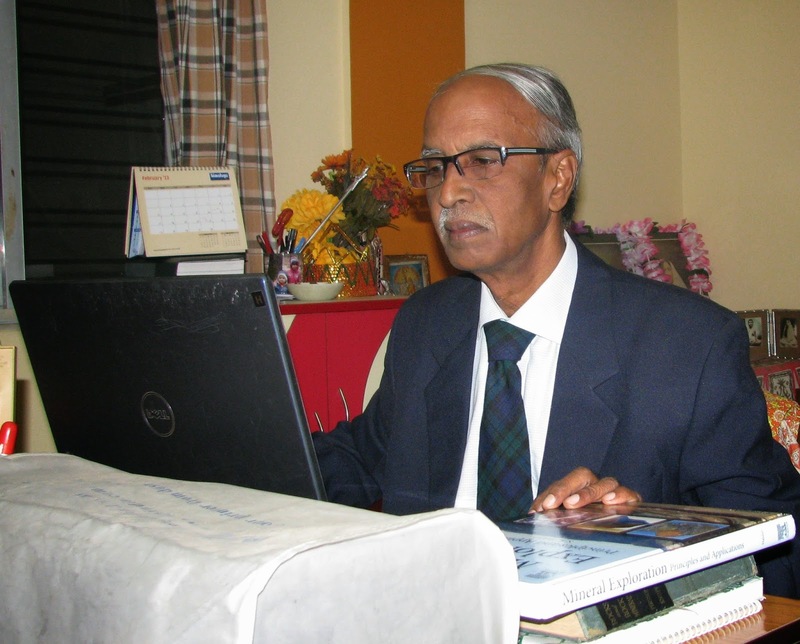 I am a kid of late 60s. At that time there was no Barbie and Kane…but we had our own kind of dolls. We had small earthen pots and miniature kitchen equipments made up of metal, wood or clay. We would make small pretend doll houses for Diwali. I just can’t forget those days spent with my best friend Swati, playing with such dolls. Swati was my neighbor as well as my classmate. Our Dads were colleagues too. When we first met in the school we became friends immediately. We started spending time together in school. We used to talk so much in class that one day our class teacher asked us to sit on separate desks. Our friendship extended as we started visiting others house after school evening also. We played many games like Vish Amrit*, Ludo, Chinese Checkers and with our Dolls. Her mother whom I used to call Kakima (Aunt in Bengali) was also very friendly and very creative .Apart from many other things she was fond of making dolls out of fabric. Those dolls were very beautiful and perfect. She used to sit with us when we played with dolls made by her and gave many innovative ideas. The one thing I remember most is when we planned a pretend wedding of our dolls. It turned out to be a gala event. Kakima organised all the things methodically. She took the pain to make a lavish spread for our wedding. All in miniature sizes. Sweets and Puris (fried India Bread). Potato cut into small pieces made into a curry. Everything was served on tiny plates. Our brothers became the Baratis (the groom’s family). We made small special dresses for the bride and groom, packed tiny gifts for the bride and the groom’s relatives and performed all the rituals that are part of a traditional Bengali wedding. There was this one particular ritual where the bride’s mother is supposed to measure the groom with a thread and then swallow that thread. (Don’t ask me why, it is an age old ritual.) Swati, who was the bride’s mother, was in a dilemma on how to swallow the thread. Obviously she was only a 8 year’s old ‘mother. So I took it upon me swallowed the thread with ripe banana that day. Memories of what we experienced that day is so vivid and precious to me that I will never ever forget it. Last year, Swati’s real daughter got married. Unfortunately I was not able to attend the wedding ceremony. I did wonder though whether she had mustered enough courage to swallow the thread that day. *Vish Amrit is a popular game played by children in India. It is very similar to playing tag. but once you are tagged you stay put in your place till another team member can come and help release you from your spot. An auditorium filled with 404 odd people. An unusual roll call. A roll call by countries. 60 to be precise. The person on the podium called out the name of the countries, one at a time alphabetically Afghanistan to Zimbabwe. The people in the audience requested to rise from their chair when the country that they were born in would be called out. As the roll call began, people rose from their chairs. First a few, then more and more. And finally all by the time the last country was called out. 404 people from 60 different nations in one room for one cause. Even without getting into the details of the cause, isn’t it just wonderful to even imagine that. It was an overwhelming moment. Now for the cause. Those 400 people were under one roof to adopt one nation that day. The nation that is called the land of immigrants. What also mattered was that there were 400 stories in the room that day. Stories of relocation, people’s struggles, their hopes and an anticipation of a better future. Let’s put aside the discussion about patriotism. Merely living in a country that we were born into does not makes us patriotic. Patriotism demands more than that. Everyone in the room that day had a different reason for being there. But there was a shared common dream across the room. A dream of a smaller world, a world where there is room for different cultures, languages, ethnicity and cuisines. Yet there was a common chord. My reason is no different. I am happy that I will see my kids grow in a much diverse society where they will learn to adapt and be more open to different cultures. It will be much more diverse than the one that I grew in or even my husband did. A canvas with a single color or 60 different colors. It is a matter of choice. I chose the latter. Authored by Piya Mukherjee. A discussion of immigration naturally steers towards a debate over love for one’s country of origin. A fresh perspective on how immigration and people living in different countries is making the world a smaller and better place to be. Stories happen every day and there is a storyteller in each one of us. You sometimes just need a patient ear to listen in. In what seemed like an over exhausting week, I met a story teller and heard a story that touched my heart. A story that I will share with you today. It had been a long day. All I really wanted to do that evening was take the flight back home and cuddle up with the kids for the night. Neither Khaled Hosseini nor the cup of Joe could keep me interested till the boarding began. So I did what I love to do. I watched the people around me. Right next to me sat a lady intently reading something on her kindle with two young men constantly hovering over her. One brought her coffee while the other helped her find something on her Kindle, the three of them chatting every now and then. The lady and I exchanged glances and before we knew we got talking. The young men were the lady’s sons, she introduced. The men took off for a stroll and we resumed chatting. They seem to be very caring about you. I think I raised them well. You sure did. I wonder how mine will turn out to be. Advice from a stranger, it may seem. But something told me the conversation was going to take an interesting turn. So I told the lady about my blog and asked if I could write about our conversation. And that’s when she opened her heart like a true storyteller. She did not allow me to picture her but a picture of her narration will stay with me forever. Her younger son had fought in the Iraq war. He was very young when he had chosen to do so. A decision of his own. Only a soldier’s mother can tell you what it feels to know that your child may not come back home. I heard her choke even while she narrated. Her son was supposed to go to a law school that year. Instead he had opted for the army. That was her first example of the “let them be” mantra. Your love should support your children’s choices and not prove to be a hindrance. The “let it go” she said was more important. Let it go from your heart that your children would always be around you, do what you had thought or planned for them to do. That is such a deep rooted feeling inside every parent that it is extremely challenging to let it go. To let that feeling go. Sometimes that feeling becomes an obstacle in loving your own children. You know why I am going to Seattle today? To meet my elder son’s partner. To tell you the truth, I did not approve of his choice and decision at first. But then I reminded myself I had to let it go. I told myself his decisions should not change my love for him. And look today I am just going up there and we are just going to be one happy family. I guess you are saying love your children no matter what and they will always love you back. And sometimes love means letting somethings go. It was soon time for me to board. As I got up to board, the lady asked me if I was really going to write about our conversation. I promised her I would. That is what the intent of this blog is. Hear the voice of every story teller. Hear every story that is being told. Every story has a little something to say. My daughter came to the airport to pick me up later that night. As we drove home, I heard her sing “Let it go. Let it go.” from the movie Frozen. I was reminded of my rendezvous with the storyteller who had given a new meaning to that phrase. 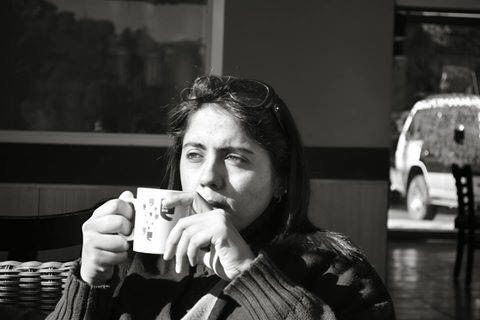 This story has been written by Piya Mukherjee, a mom, a blogger, a people-watcher and the other half of chatoveracuppa. This story is based on a real life conversation she had with another mom and amazing storyteller. Our 70th story on the blog is an extra bit special. 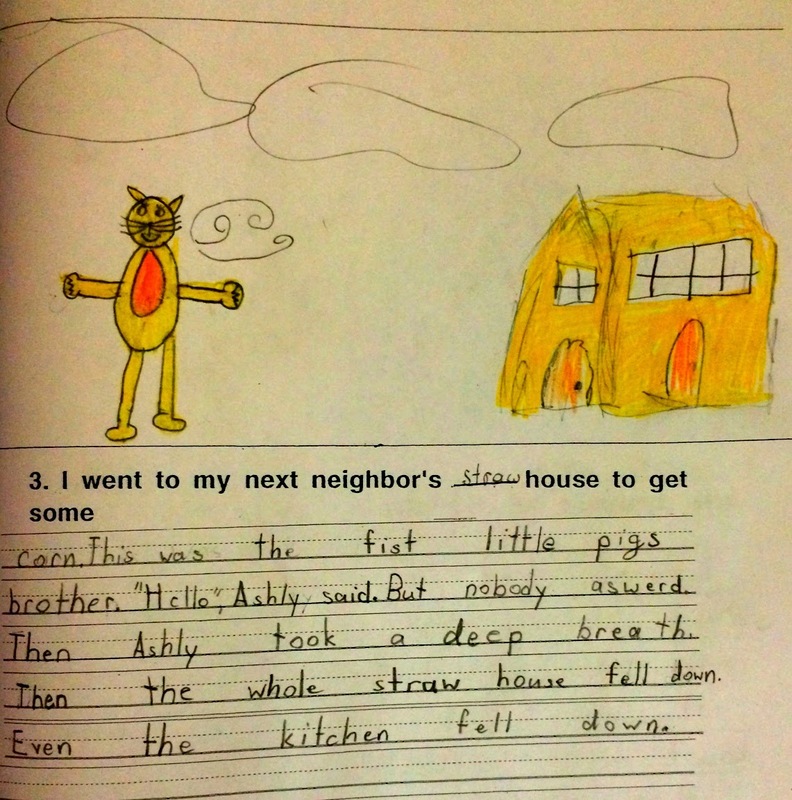 The author and the illustrator is just seven years old. 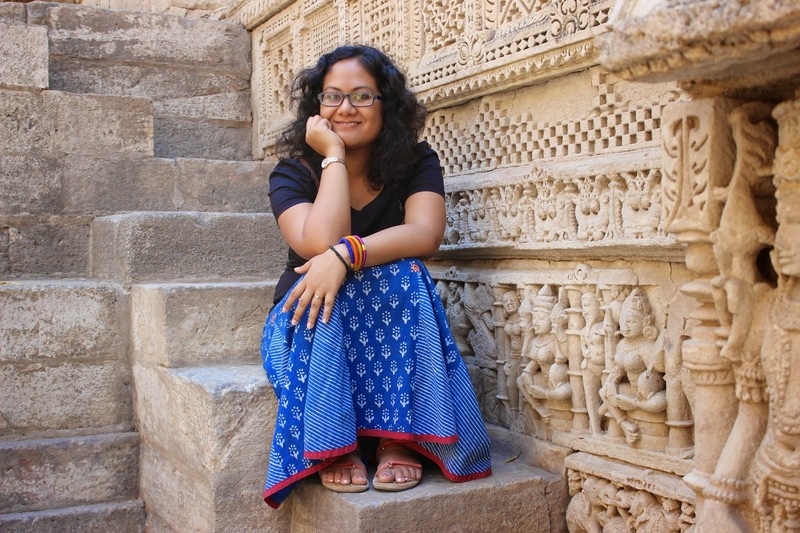 When we met Aarushi, she told us she was looking for a publisher to publish one of her many handwritten and illustrated books. We told her we were not real publishers but we could at least attempt to have her story read by many many people.She has written two posts for us before (Sweet Nothings and Piano Lessons) so she knew what we meant and she shared today’s story. She has also asked us to keep looking for a “real” publisher. We truly believe, children are amazing and great storytellers. Their imagination is limitless which is reflected in their story telling. 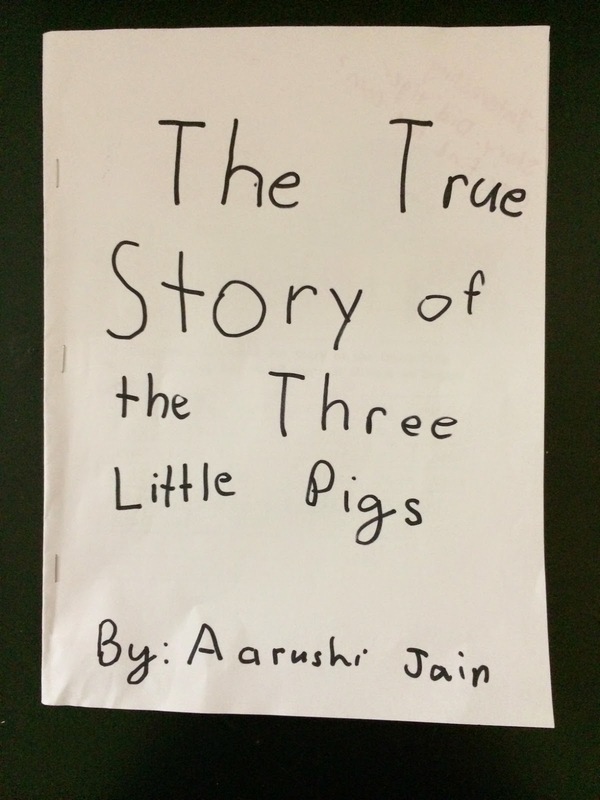 Here is one such story with a twist on the original story of The Three Little Pigs. 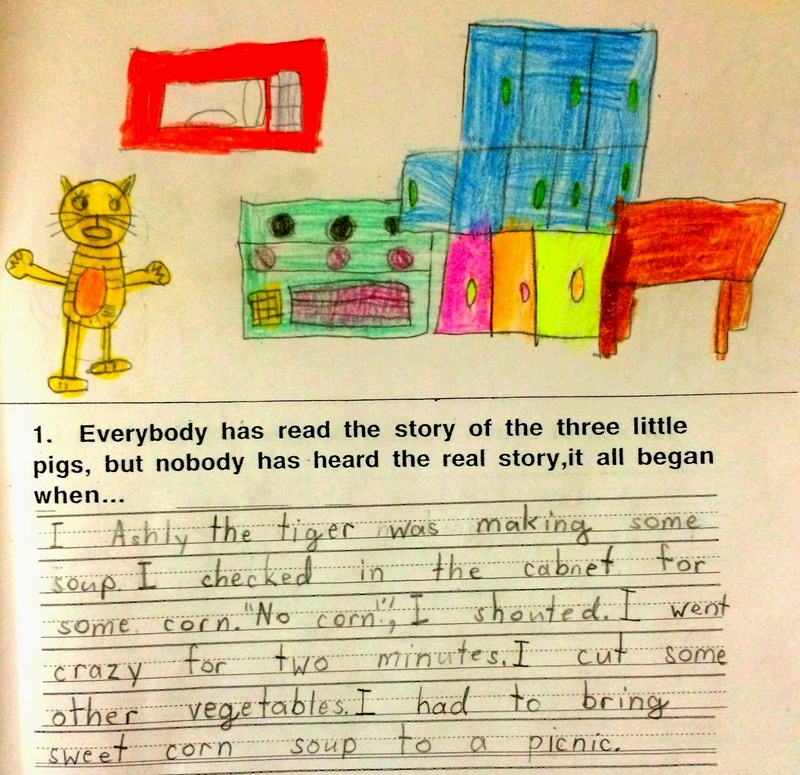 Everybody has read the story of the three little pigs, but nobody has heard the real story, it all began when I Ashly the tiger was making some soup. I checked in the cabinet for some corn. “No corn”, I shouted. I went crazy for two minutes. I cut some other vegetables. I had to bring sweet corn soup to a picnic. 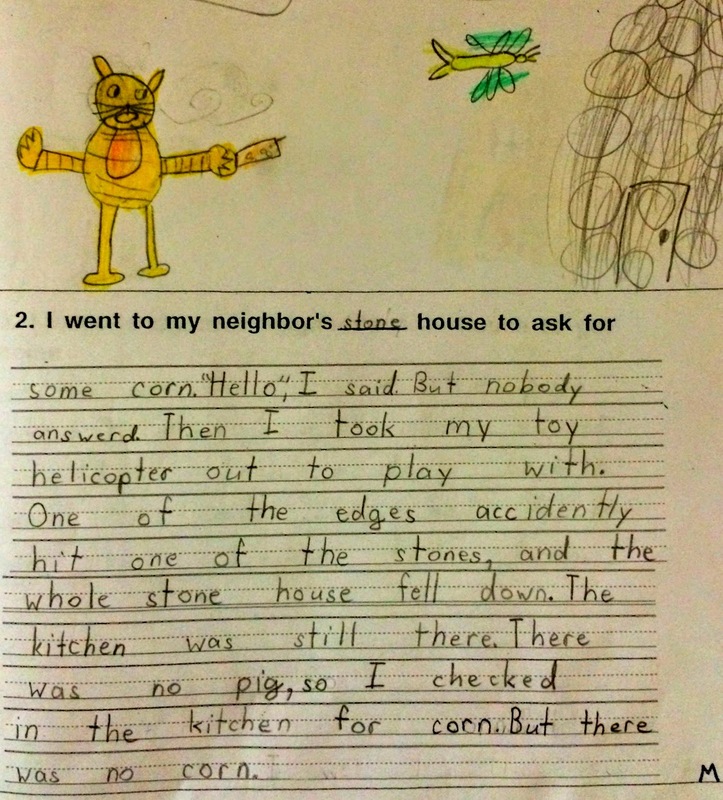 I went to my neighbor’s stone house to ask for some corn. “Hello” I said. Then I took my helicopter out to play. One of the edges accidentally hit one of the stones (of the stone house) and the whole stone house fell down. The kitchen was still then. There was no pig,so I checked in the kitchen for corn. But there was no corn. I went to my neighbor’s straw house to get some corn. This was the first little pig’s brother. “Hello”, Ashly said. But nobody answered. Then Ashly took a deep breath. Then the whole straw house fell down. Even the kitchen fell down. 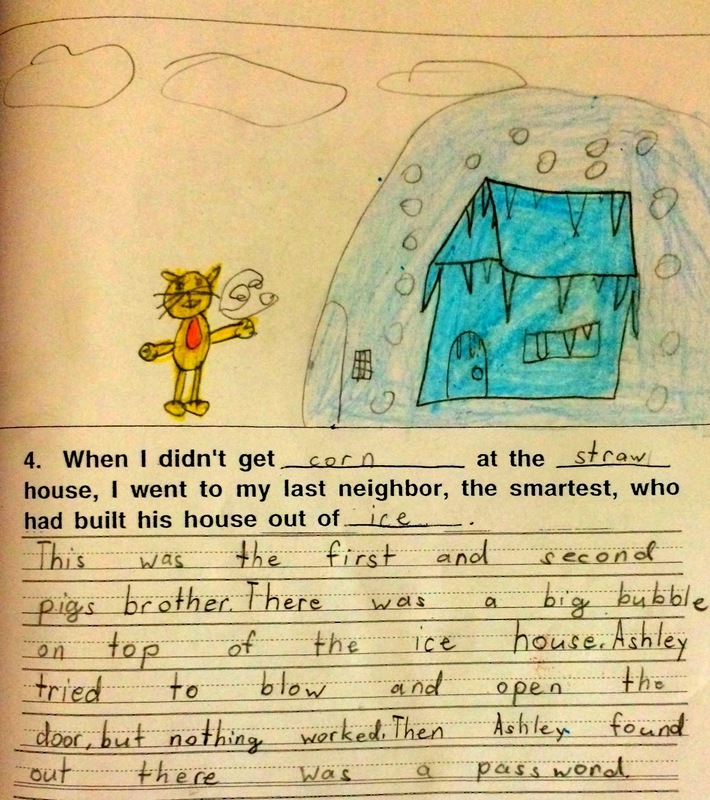 When I didn’t get corn at the straw house I went to my last neighbor, the smartest, who has built his house out of ice. This was the first and second pig’s brother. There was a big bubble on top of the ice house. Ashley tried to blow and open the door, but nothing worked. Then Ashley found out there was a password. 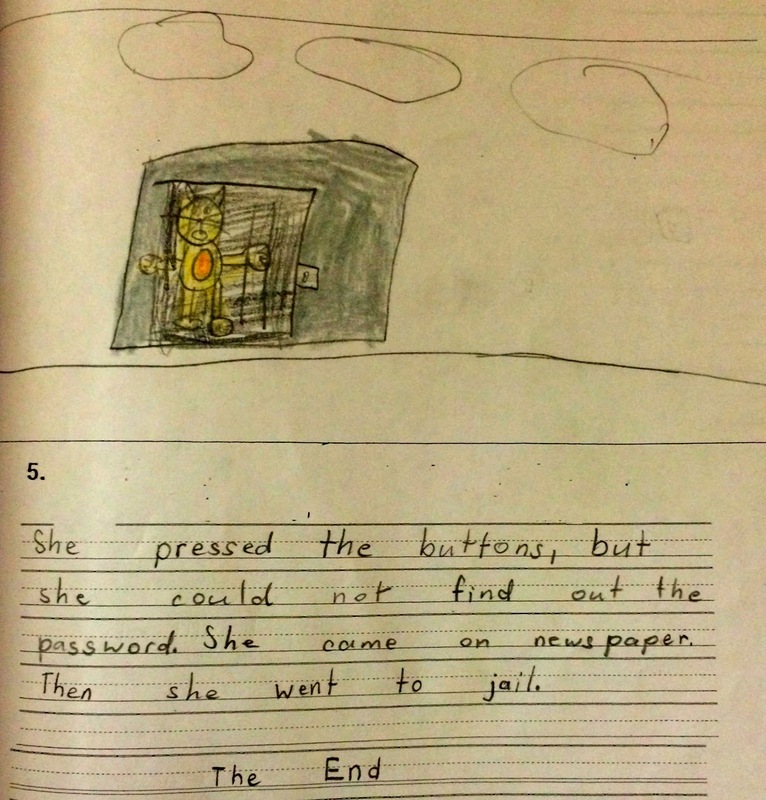 She pressed the buttons, but she could not find out the password. She came on newspaper. Then she went to jail. 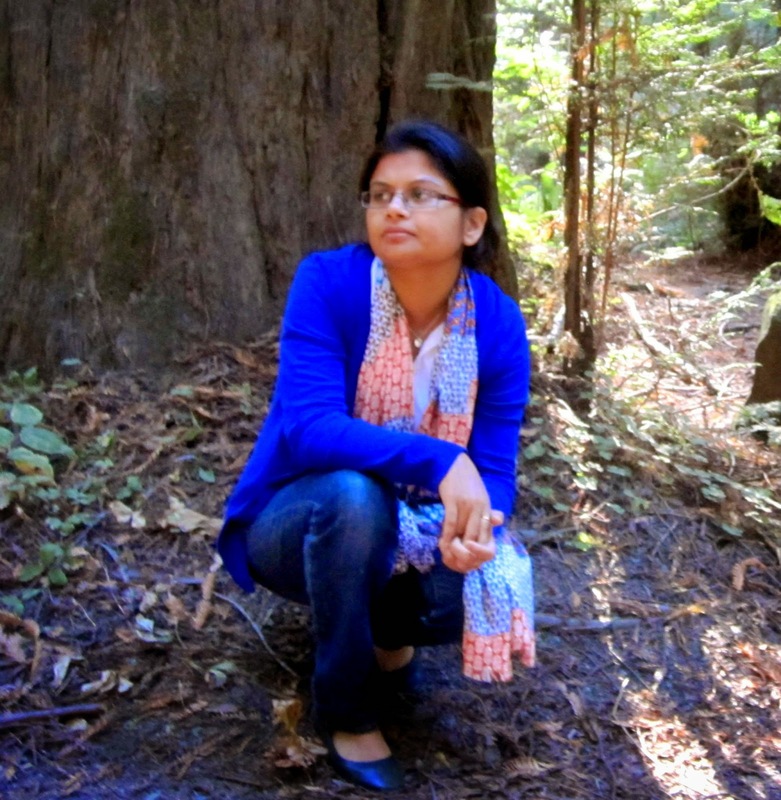 About The Author And Illustrator : Aarushi Jain is seven year old, second grader. She loves to write and wishes to become an author one day. She started writing books of her own since first grade and has completed writing 10 books so far. She also always illustrates her own story books.Besides writing, she is a voracious reader and Dr.Seuss is among her favorite authors.